The past isn’t finished with our characters just yet. 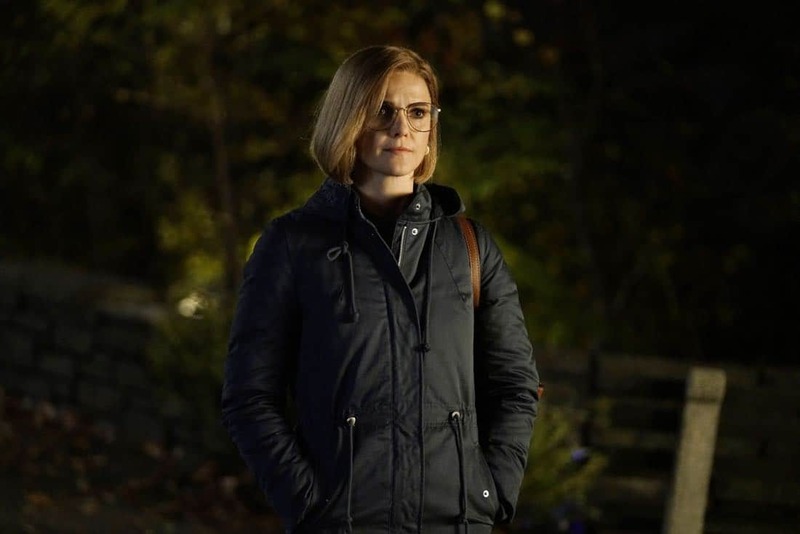 The Americans is having fun inverting the normal male/female roles that audiences have come to associate with prestige television. At the end of “Dead Hand” Philip was literally waiting at the kitchen table until 1 a.m. to ask Elizabeth where she’d been and what she’d been up to. It’s the female Elizabeth who gets to spend her days and nights doing dangerous missions while Philip acts as homemaker concerned about his partner’s safety and the impact of her work on her wellbeing. Just imagine if Betty Draper or Skyler White had gotten to do the fun stuff. Which isn’t to say that Elizabeth is actually having any fun. She looks completely exhausted and like she never got any of that sleep she was begging Philip for last week. For all the danger she encounters in spy work, I’m starting to worry that the most dangerous foe she’s currently facing is her cigarette intake. “Tchaikovsky” finds Elizabeth still juggling a wide array of projects including monitoring Glenn Haskard, a US negotiator for the upcoming US/Soviet summit in DC. 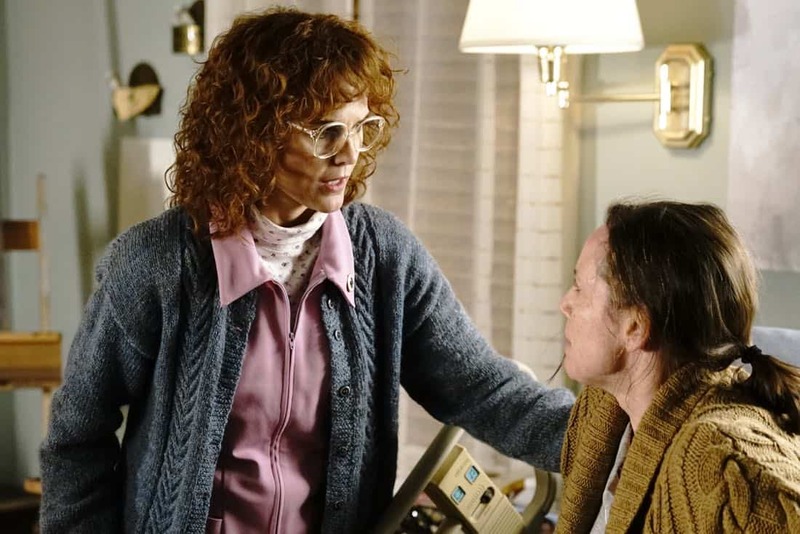 Elizabeth is undercover as a hospice nurse to Haskard’s cancer-ridden wife Erica, an artist who craves medicinal morphine and works as best she can when the pain allows (again, easy on those cigarettes, Liz). 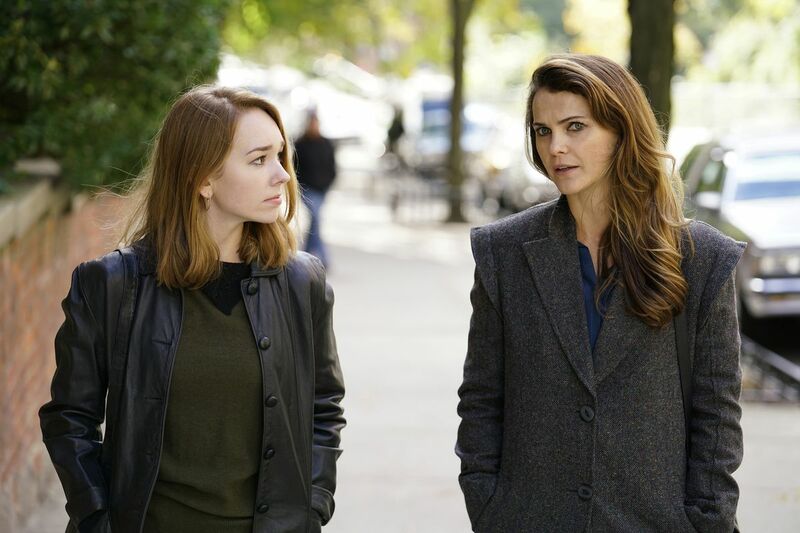 When Paige later asks Elizabeth about the sexual techniques she’s read about spies using to gain information, she’s reluctant to reveal the truth about her own experiences to her daughter, but she does offer Paige some wise words about just how messy and emotionally tangled spy work can get. “It’s easy to see the work as black and white,” she cautions, “but the world is complicated.” This wouldn’t be The Americans if Elizabeth and Philip were capable of heeding their own advice. Just as Paige worries about emotional entanglements of a sexual nature, Elizabeth finds herself drawn into Glenn and Erica’s pain. She’s had her own experiences with death, and when she can no longer ignore Erica’s anguished cries for a release from her pain, she offers to help Glenn when the time comes. This is the kind of thing that Stan Beeman doesn’t miss from his counterintelligence days, lightheartedly telling his old partner Aderholt how much easier working with murderers, drug dealers, and dirty politicians has proved to be. But the past isn’t over with Stan just yet. First, there’s Aderholt’s news that Oleg is back in the country, setting the stage for the old friendly adversaries to meet in coming weeks, but Aderholt’s main aim is to get Stan to meet with his old asset, Gennadi Bystrov, who’s asked for Stan by name. Gennadi and his wife Sofia were young lovebirds the last time we saw them, but time has taken its toll on their marriage, and the ever fickle Sofia has turned her attentions to a new coworker and wants a divorce. Aderholt wants to keep the intel that Gennadi provides flowing, but Gennadi reaches out to Stan not as a handler, but as a friend. Truthfully, there’s not much for Stan to do but offer the usual platitudes and pray for the best, but he knows that Gennadi and Sofia’s relationship is a ticking time bomb. Either Sofia, never one to keep a secret, will attempt to turn her new coworker and blow the lid off her and her husband’s espionage work over the last three years, or an emotionally distraught Gennadi will slip up a mission. Its seemingly just a matter of time. “Tchaikovsky” is a rather Philip-lite episode after last week’s premiere, with our favorite male spy otherwise occupied with work problems — aside from the obligatory opaque spywork-as-marriage metaphorical talk between he and Elizabeth that opens the episode. Philip’s main plotline finds him running into an old client, James Branch, who reveals that he booked an upcoming vacation not through Philip’s travel agency, but via a budget service. Philip is dismayed to learn that such a longtime customer would look elsewhere (prepare to be even more dismayed, Philip. If there’s any vocation about to dry up more than Soviet spying in the 1990s, it’s running a travel agency). He presses the employee who handled the client’s inquiries, but ultimately learns that Branch only ever wanted to know Philip’s opinions of every airline, restaurant, and hotel. Without that personal touch he’d come to depend on, Branch took his business elsewhere. In a phone call later that night it’s Henry who points out to his father that he should never have let anyone else handle Branch. Philip insists that he’s too busy to handle every client, but Henry presses him: it’s not handling every client. It’s handling this client that really mattered. When you have an important connection that you’ve fostered over so many years, it’s foolish to leave them in the hands of any old subordinate. Cue the coming irony. Of course, that’s a lesson Philip learns too late when Elizabeth is assigned to get an important piece of technology from one of Philip’s old sources. General (then Colonel) Lyle Rennhull hasn’t been seen since Season One when he told the Soviets that America’s Strategic Defense “Star Wars” missile system was too complex to be realistically implemented. Elizabeth was wary of the Colonel, but it was Philip who calmed the colonel’s nerves and ultimately procured the files and intelligence necessary for the mission. Now, six years later with Philip retired, it’s up to Elizbeth to secure a lithium-based radiation sensor, seemingly one of the few missing pieces of tech the USSR needs to implement Dead Hand. It should be Philip working with Rennhull again, maintaining an important contact who’s now an Air Force General and reinforcing the steady-handedness that led to their previous success, but his retirement leaves the Centre with no option but Elizabeth. Unsurprisingly, it all goes wrong. Rennhull refuses to cooperate and he and Elizabeth wrestle over control of a pistol during their late night park rendezvous. Paige arrives on the scene just in time to see her mother covered in blood and brain matter after Rennhull turns the weapon on himself rather than commit further acts of treason or let Elizabeth get away. It’s a startling scene for Paige who’s becoming increasingly more aware of the full extent of her mother’s activities and seeing their fallout. She saw Elizabeth murder a man back in 1984 when he attacked them in a parking lot. But she doesn’t know that Elizabeth slit the throat of the man who took her fake ID and asked her for a date last week, and now she finds her mother covered in a dead American General’s blood. Paige knows her mother’s job requires occasional violence, but it’s becoming harder and harder to write it down as infrequent and only in self-defense. However, the sight of Elizabeth covered in blood imports a startlingly different meaning once you’ve seen her quiet ktchen table talks with Claudia. As much as Claudia may beg Elizabeth to not contemplate her own death in the line of duty, Elizabeth is well aware how much of a second mother Claudia has become to Paige. The two even bond over a recording of the great Russian composer Pytor Ilyich Tchaikovsky’s “None but the Lonely Heart,” which Claudia, chillingly enough, tells Paige was her only comfort when her own mother died. 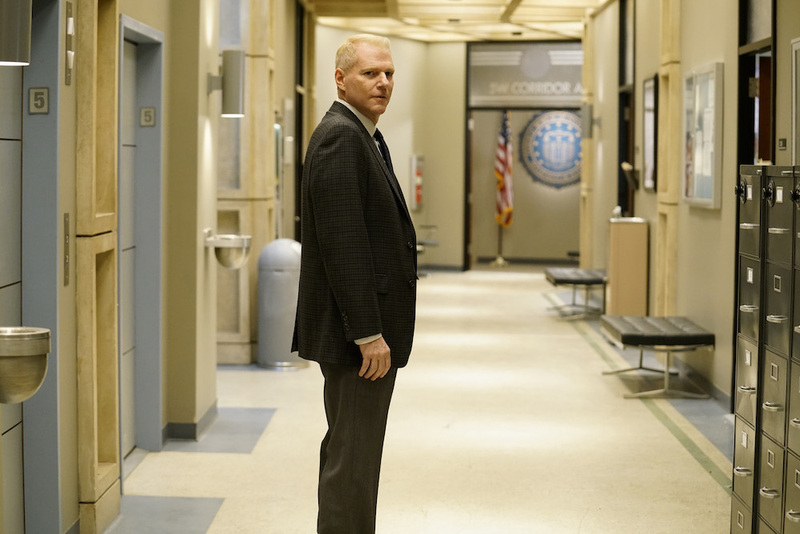 The Americans has always excelled at layering its themes upon one another and “Tchaikovsky” is no exception. Viewers have seen Claudia across six seasons and know that she’s not always been the warm, concerned grandmother figure that she currently plays. She can be cold as the Russian winter, and wouldn’t be reluctant to introduce Paige to the murderous and sexual sides of spy work that Elizabeth is still reluctant to openly address. She’s already laying an emotional framework for comforting Paige if the worst should happen to Elizabeth, and it’s not hard to wonder how successful Paige could be under her hand. Elizabeth sees the State department or CIA in her future. Could Claudia be aiming even higher? If so, how long can she allow Philip and Elizabeth’s emotional entanglements to keep Paige from reaching her full potential? When you have an important connection that you’ve fostered over many years, it’s foolish to leave it in the hands of any old subordinate. But whether it’s the mission or Paige’s well-being that matters most depends on who you would ask, and determines who would be the best guiding hand for her future. Do you have any idea how hard it is to write about this show? Now triple that when the show is bringing back characters not seen since Season One. Take pity on your kindly recapper. Glad to see my favorite character finally get some screen time in Season 6. That, of course, is the mail robot. Marquis de Lafayette’s post-Hamilton restoration in popular culture continues with a State Department official waxing poetically about him in front of a bust during a tour. People were quick to point out to me that Philip’s pasty redheaded client has the last name Branch. As a pasty redhead Branch myself I’m excited to see my people get proper representation on television. I’m assuming Joe Weisberg and Joel Fields are just huge fans of my work. The show’s excellent use of musical cues continues with a fantastic sequence set to Talking Heads’ “Slippery People” as Gennadi hands over secret documents in an airport bathroom. I may have mentioned this before, but as people begin to speculate just how Stan will inevitably discover Elizabeth and Philip’s true motives I’m holding out for Stan to put the pieces together while he reads Walt Whitman poetry on the toilet.